Home / Featured Articles / Are Spirit Boxes Dangerous? Are spirit boxes dangerous? A way to answer this, is to ask yourself, Would you play an Ouija board? If the answer is NO, then i wouldn’t use a spirit box. If you answered yes, then i would recommend using a spirit box. In my opinion it is no different to an Ouija board, “a method of communication” only difference is. Ouija is via touch, and words. 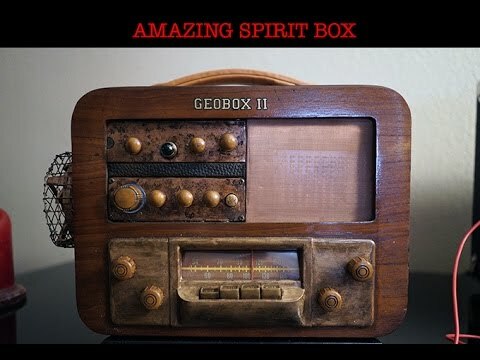 Where a spirit box is vocal and radio waves. Both methods use energy, (Your own or Electronic) You use both devices in a similar way, where you ask questions like. You are initiating a conversation with said spirit, and if a spirit can come through an Ouija board and stay with you. im sure it would be able to via a ghost box. Previous post: 30 east drive GHOST 2019? The difference is people usually make a huge mistake using a ouija board. Then the spirits are allowed to control the board. The explanation is in the way the Spirit Box works. It just allows for Spirits that are in the area to use electrical energy to communicate. The Ouija board allows for opening a doorway for any entity to step through. Mostly it’s because the operator usually ask them to “TAKE OVER”. That’s the huge difference in the board.